FullTilt vs PokerStars – Which is better? Things are truly heating up in the online poker scene with a fierce battle emerging between the current #1 online poker room PokerStars trying to outdo their #2 rival FullTilt Poker. FullTilt have been aggressively trying to capture a bigger market share of the online-poker industry (which is still booming), by introducing new promotions, Poker TV Shows, Bigger bonuses for players and even an attempt at a Guinness World record. Pokerstars and FullTilt still allow USA Players, both rivals already have huge poker player databases and are well populated each night however an increase in market share amounts to bigger earnings especially in the sought after US poker market that both have their eyes set on. 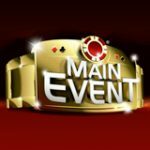 It seems in the battle of POKERSTARS Vs FULLTILT every move FullTilt poker make in terms of promotions gets counteracted upon by Pokerstars who do a similar slight more tweaked version of the same promotion. We have compiled a list of some of these key moments in the rest of this article. I'm sure most avid poker fans are already aware of the fierce rivalry between the two most populated online poker rooms, so it goes without saying the two poker-rooms are at logger heads competing for the #1 spot, it's just a pity that their nearest rivals occupying #3 (iPoker Network) and #4 (PartyPoker) positions currently don't accept US poker players as this would transcend to an even bigger fight which could only be of benefit to players and potentially new players. Anyway, this article is about POKERSTARS Vs. FULLTILT POKER before I delve any further I would like my personal preference to be known and that is that I prefer Full Tilt Poker for no other real reason other than PokerStars seems to portray an "I'm #1" attitude by not really caring for their players via the support channels the replies are somewhat vague and arrogant like they are doing you a favor by letting you play at The #1 online poker site, this is especially true from the affiliate side of things anyway this is very off putting, despite my personal preference, both rooms provide an excellent venue with PokerStars taking the edge with a better looking console and higher traffic volumes. 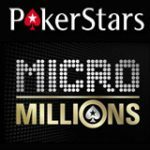 FullTilt announced Guinness World Record attempt followed shortly afterward by the PokerStars Guinness World Record attempt. 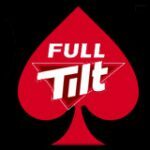 Next, FullTilt brought out a great promotion in the “FullTiltPoker Biggest Bonus Ever “ which was trodden on a few days later by PokerStars also announcing they were offering their biggest ever bonus. Latest, FullTiltPoker recently launched a Poker TV game show in “FACE THE ACE” which is currently being broadcast on NBC where FullTilt Poker players can freeroll their way to play against FullTiltPoker’s team of pros in a game show format now PokerStars have announced they too will be hosting a Poker TV Game Show in a similar style where winners would face PokerStars line-up of pros with Daniel Negreanu being the last opponents the contestant will need to face plans are for the new series to be aired on the FOX broadcasting network. Comments: Both offer more than you could ask for in terms of variety Stars take it here though solely due to traffic making it easier to always find the game you want with minimal wait time, usually none at all. 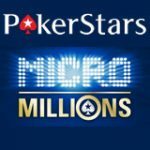 Comments: PokerStars take full credit for the look and feel of their console, but are closely followed by FullTiltPoker after their new software upgrade. Comments: Full Tilt Poker have better bigger promos. 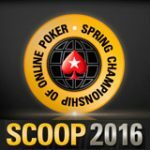 Comments: FullTilt has amassed a large portfolio of poker professional players. Comments: FullTilt Poker Academy is a brilliant tool for new players or even intermediate players looking to improve their game skills and learn new ones. Comments: Both rooms provide an excellent venue for online poker with ongoing promotions and events backed by excellent software that is user friendly graphically pleasing and feature loaded leaving nothing that needs to be there out. Whatever your choice of poison, we fully recommend both these rooms and frequent them ourselves, let’s see how the FullTilt vs. PokerStars war for #1 spot turns out. If I were ever asked my 2 cents worth, about how they could possibly improve their games and services. 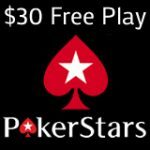 I would suggest that PokerStars lose the attitude, create a better affiliate program with revenue sharing options plus unique bonus codes for affiliates plus a tracking system that actually works as the current one appears not to plus offer more frequent reload bonuses. I would suggest that FullTilt Poker design a whole new slicker looking console as the current updated one is still outdated in comparison, they should loose the avatars while allowing custom avatars, as for die hard FullTiltPoker fans, have an option to revert to the old classic version of Full-Tilt-Poker and finally, offer more frequent reload deposit bonus codes to encourage players to redeposit. 5 Responses to POKERSTARS Vs. FULLTILT POKER? I don´t like the support of Full Tlit Poker. FullTilt is a nightmare. I would never again play at this site. I am not talking about their small amount of games/players compared to Pokerstars. I am talking about their support. Try to talk to Fulltilt support, when you have a SERIOUS problem. 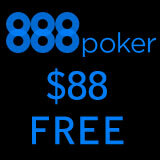 And try the same at Pokerstars. Difference like night and day. Bello e interessante, questo articolo rispetta esattamente la realtà. Personalmente ho una preferenza per FTP proprio perchè in PS sembra quasi che ti facciano un favore a giocare nel loro sito. FTP ha un solo piccolo difetto secondo me, cioè l'utilizzo degli avatar predefiniti, e non come in PS che ti consente di usare le tue foto o immagini. Inoltre lo stile di grafica di FTP è molto più bello e meno scontato di PS. Great article! as a player at both rooms for the last few years I would rate Full Tilt Poker just because the bonus is easier to clear than Stars is. However the downside to FTP would definitely be the avatars, who would ever use so many points just to have a custom avatar when most rooms allow you to upload an image as a standard?